Unless you have applied for car finance before and are aware of the ins and outs, it can be a rather confusing area to understand, and with a whole plethora of information available at our fingertips, we’re often unable to determine whether what we’re reading is true or just another piece of #FakeNews. CarFinance Plus, specialists in car finance for bad credit, helps us separate the myth from the fact so that you know exactly what to look out for when applying for a loan. Very few things in life are guaranteed, which is why it’s almost shocking that many brokers are still promising guaranteed car finance – something which simply does not exist. As lenders have to run a credit check and application review on every person who wants finance for a car, it’s just not possible to guarantee finance to all of them, because not every person applying is trustworthy and will be capable of paying back the loan. As such, this kind of wording is not only irresponsible but unethical too. The UK Consumer Credit (Advertisements) Regulations 2010 now specifically holds that those companies which use such terms to lure in applicants may be subject to legal investigation from the Financial Conduct Authority. So, next time you find a broker promising car finance no matter what your circumstances may be, you know that it’s too good to be true. One of the most popular myths surrounding the car finance industry is that there exists a ‘credit blacklist’, which is essentially a huge database of people who have been blacklisted by financial institutions, banks and government bodies for failing to meet their financial obligations. It is thought that when such individuals apply for things like car loans or credit cards, they are blocked from doing so because their details are present on this big, imaginary database. The truth is, the credit blacklist is a made up conspiracy theory and any rejected loan application will be down to other circumstances, including each lender’s particular lending criteria. While having a bad credit score can certainly prevent you from receiving finance from some lenders, it isn’t the case for all of them, as there are many lenders now which are open to all types of applicant, including those with poor or no credit. Of course, all lenders will look at your credit score, but many will take into consideration several other circumstances too, like your ability to repay and your employment status, meaning even applicants with the worst credit ratings can possibly still secure car finance. The only difference between them and someone with excellent credit will be that the high credit applicant will receive a better interest rate. In the past credit checks against addresses were the norm, but this is no longer the case. Nowadays, lenders will assess each applicant based on their personal circumstances, rather than the credit history on their address, so it doesn’t matter if the person who lived in a property before you failed to pay their finances and racked up tonnes of debt – the onus is now on you. A lot of people still believe that you cannot secure finance unless you are over the age of 21, however, UK law states that anyone over 18 can legally enter financial agreements. There are certainly lenders which only allow applications from people over 21, but these are becoming less common, and many lenders have now lowered their minimum application age to meet the law. 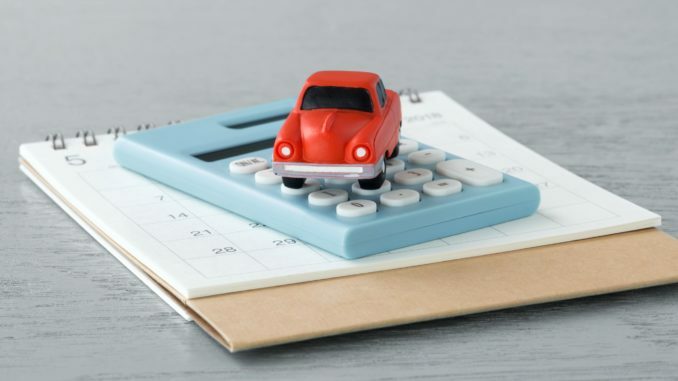 So there we have it, a round-up of the most common myths and misconceptions surrounding car finance. The moral of the story is; don’t believe everything you read online! If you do your research thoroughly and shop around you’ll likely find a suitable loan option which is right for you.